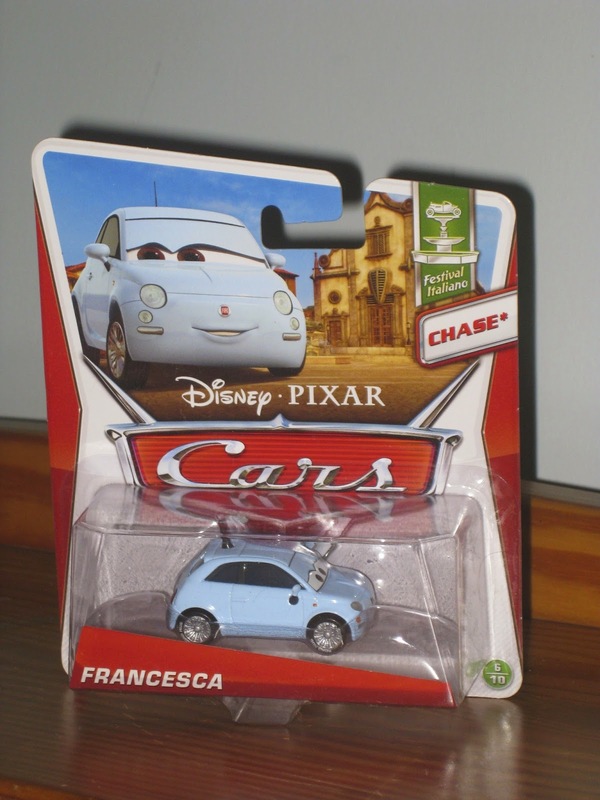 From Cars 2, here is another 2013 Mattel release that was available last summer...Francesca! As shown in the screen shot above, Francesca can be seen pairing up with Guido during the Italian festival dance scene. 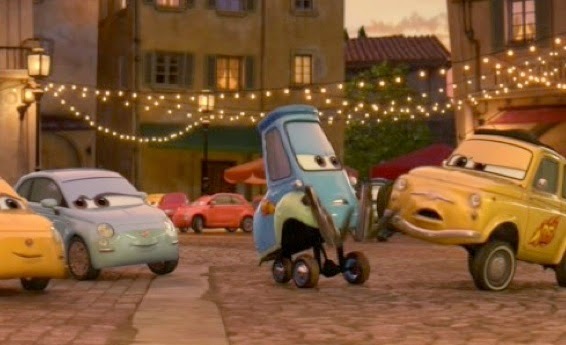 Franca, the yellow car of the same model (Luigi's dance partner), was also released last year. This is a 1:55 scale diecast and is another "Chase" edition car (which means limited quantities of this particular character were released). She was part of the "Festival Italiano" sub-line (number 6/10).